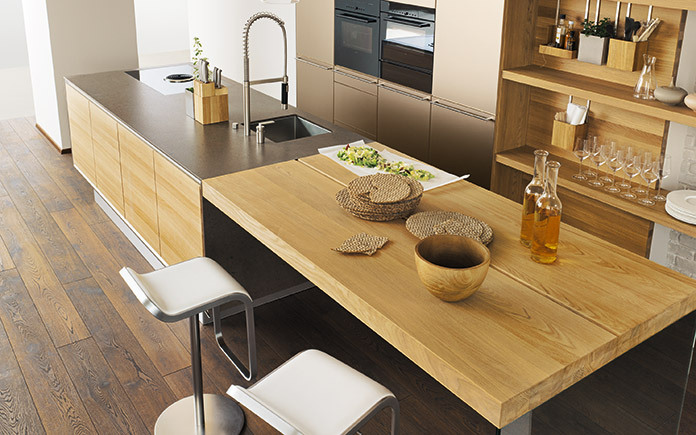 A passion for wood and its presentation are key to the design of the vao kitchen. It combines simple, elegant forms with the authentic touch of pure natural wood. The fronts are framed by a delicate mount that evokes a feeling of airiness while also highlighting the beauty of the wood, as if it were a work of art. 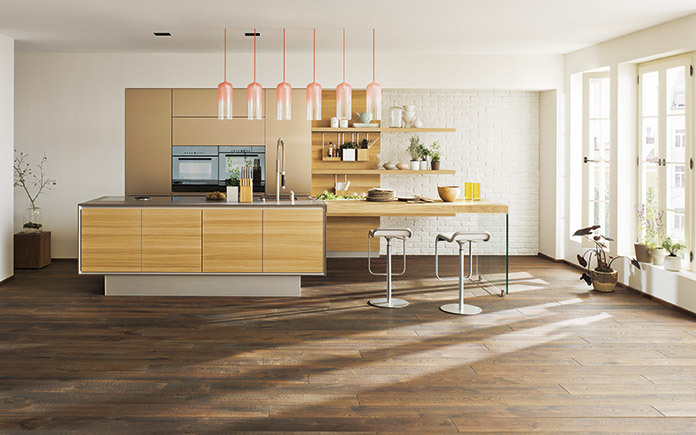 The accentuation of the natural wood pattern convinces again and again in a unique way. 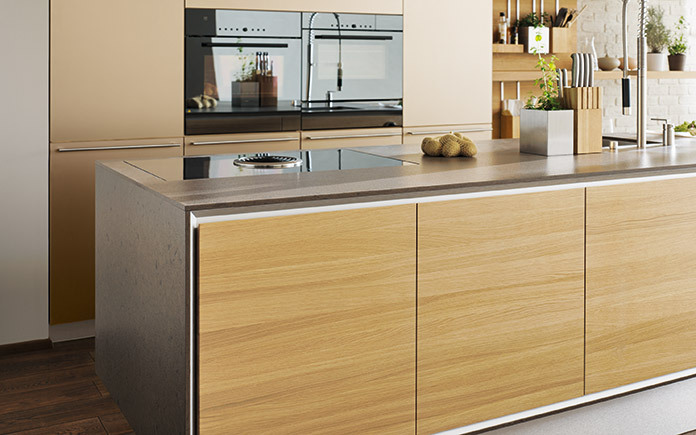 The combination of well-proportioned, clearly defined lines and lateral wood grain patterns gives the vao kitchen a continuous horizontal flow efect. 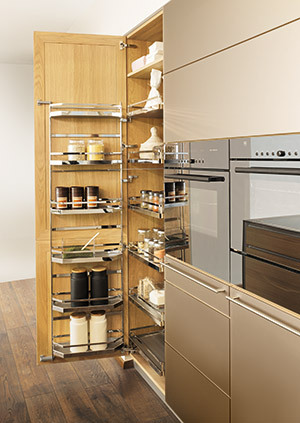 The horizontal handle grooves add to this appearance and literally enable the user to “grasp” the natural material. 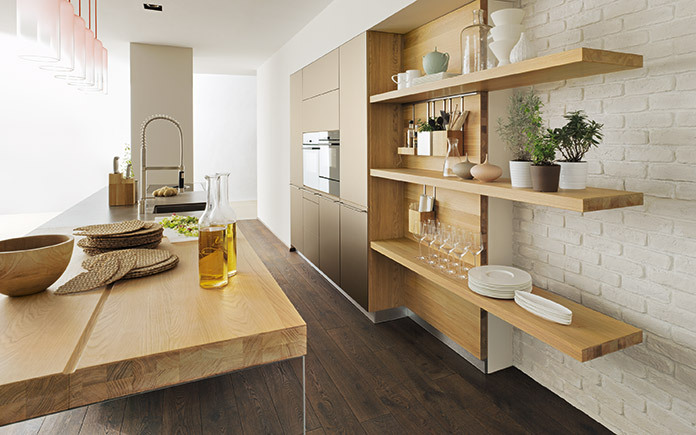 What ́s more, these grooves make it possible for the vao kitchen to be designed without any handles whatsoever. The front thickness of 21 mm emphasizes the tactile appeal of the natural wood and, together with the end grain patterns at the sides, enhances the feel of this sensual material, every time a front is opened. 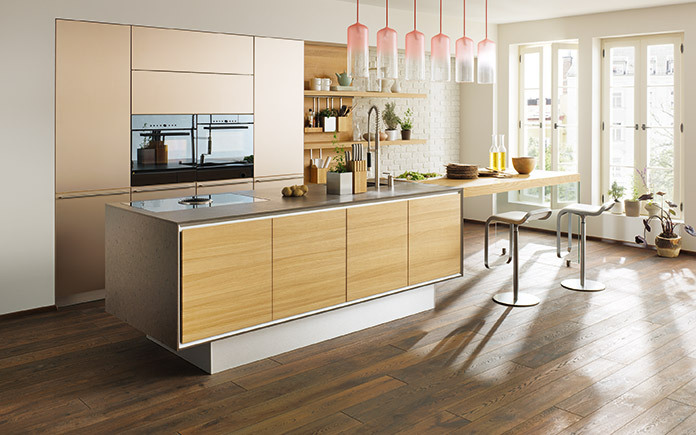 With the vao kitchen, TEAM 7 highlights its innovative prowess in kitchen design and once again demonstrates the true meaning of modern-day aesthetics, combining the pleasures of sensual natural wood and maximum convenience in a timeless design. The vao kitchen has already won renowned design awards, including the iF Product Design Award 2012 and the Green Good Design Award 2012.